We received a kind introduction to this very worthwhile charity from John Baguley of the International Fundraising Consultancy. And subsequently, Mike Everett has written Asylum Aid’s Case for Support document pictured here. 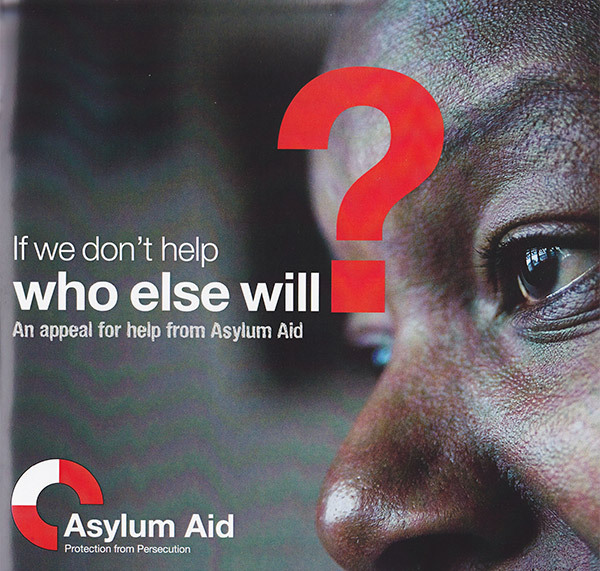 Asylum Aid provides legal representation to some of the most vulnerable asylum seekers in the UK, including women and children forced to flee terrible and violent conflicts in the rest of the world. This document sets out exactly what the charity does and how it does it. And just as importantly it lays out what it needs financially in order to continue doing its invaluable work. Its agenda encompasses an ambition to improve the quality of the decisions made by governments and transform the ethos and culture of the asylum system in the UK. No small task – a small charity doing a big job. Mike was very easy to talk to, he listened to us and delivered quickly. While we helped with the writing, the design of the piece was down to Andrew Harvey who has a long-standing relationship with Asylum Aid. Images sent from a mac as email attachments appearing as embedded on a PC.